Skin whitening pills are a popular choice in the desire for lighter skin color in the Philipines, India, Africa, and other Asian countries. The main ingredient in these pills is glutathione. Based on consumer testimonials, glutathione pills might help to whiten skin, but there is not enough clinical evidence yet on their true efficacy and safety. The ingredient from a pill travels to the skin through the circulation after it is absorbed from the gut into the blood. Based on a study published in 1992 in the European Journal of Clinical Pharmacology, however, it is not clear how much glutathione in a pill reaches the skin because it is first broken up by enzymes in the gut and liver. The three-amino acid peptide, a potent antioxidant, is made in the liver and is a natural component in all human cells. In addition to its effect on skin pigmentation, it is involved in cell metabolism and cell renewal, and it helps detoxify cells and protect them from damage by free radicals or reactive oxygen species. The reduced form of glutathione (GSH) is more active for skin whitening than the oxidized form (GSSG). In addition to pills and capsules, glutathione is available for skin lightening in topical creams, face cleansers, intravenous solution, and other formulations. Food is also a source as the peptide is also present in whey protein, tomatoes, avocado, oranges, broccoli, asparagus, spinach, walnuts, and other fresh fruits, vegetables, and nuts. Glutathione was found to decrease melanin production, which led to its heavy marketing as a skin-lightening agent in Asian countries. 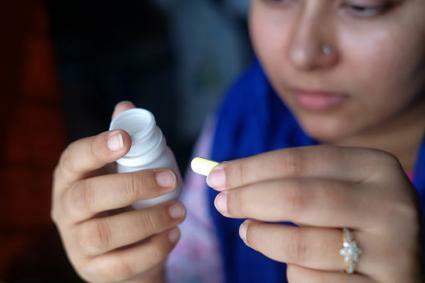 The pills are now gaining popularity among people of other ethnic groups in the United States and other Western countries. It inhibits tyrosinase, the first enzyme in the pathway to melanin production, thus reducing melanin in skin cells. 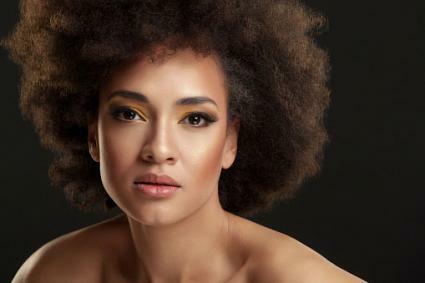 The peptide helps melanin pigment cells make more of the lighter, yellow-red pheomelanin, present in larger amounts in lighter skin, in preference to the darker, black-brown eumelanin. The small peptide is also considered for treatment of melasma and other hyperpigmentation skin conditions such as age and acne spots. The skin whitening glutathione pills might also contain vitamin C, a natural skin lightener. Vitamin C boosts the skin-lightening effect of glutathione through its on own effect on melanin formation. Additional antioxidants may include vitamin E and alpha lipoic to promote the effects of the peptide antioxidant. Vitamin C also helps to increase production of glutathione. Therefore, some advocates of glutathione for skin whitening advise users to take a daily dose of vitamin C equal to one to three times the daily dose of glutathione. However, according to MedlinePlus, individuals should not take more than 2,000 milligrams (mg) of vitamin C per day. 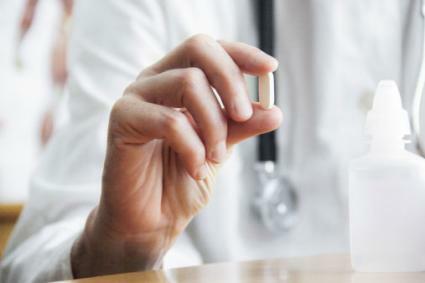 According to the IJDVL review referenced above, consumers use glutathione pills without enough scientific evidence on its efficacy, safety, and risks. The few available studies do not offer consumers or doctors enough reliable data on these important aspects of glutathione use. In a Thailand study, reported in 2009, 60 medical students took one 250 milligram (mg) glutathione capsule twice a day for only four weeks. A second study in the Philipines, published in 2011, followed 30 women who used one 500 mg glutathione buccal (between cheek and gum) lozenge (for better absorption) for only eight weeks. In both studies glutathione was well-tolerated and there were no significant adverse effects. However, there might be risks with the large doses of glutathione in the pills that consumers tend to take. Consumers and doctors would benefit from further studies on dosages and safety to be more assured the pills are low risk. There is no scientific data on potential risks, side effects, contraindications, or long-term consequences of glutathione pills for skin whitening. Some users have reported diarrhea, headaches, skin rashes, and acne with glutathione use. Due to the lack of sufficient evidence, glutathione is not approved for skin whitening by the United States Federal Drug Administration (FDA). However, the pills are available as over-the-counter dietary supplements in the U. S. The FDA reissued a warning in 2017 against glutathione-containing skin lightening injectable products. There are no studies on what doses of oral glutathione would be most beneficial for skin-whitening or how long treatment should last. Some online resources recommend taking a daily total dose of 20 to 40 mg per kilogram (kg) body weight divided in two to three doses. You can use our calculator to convert from pounds to kg and vice versa. Taking about 1,000 mg two or three times a day on an empty stomach. 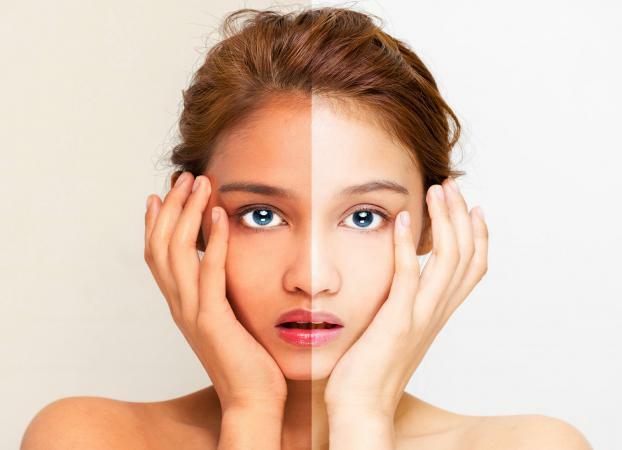 Once the user reaches the desired level of skin whitening the dose can be reduced to 500 milligrams a day for maintenance of the new skin color. People with medium to brown skin will see gradual lightening in one to three months. Those with dark brown to very dark skin will have lightened skin in three to twelve months. The darkest skin tone will take over a year to lighten. Don't forget that cells on your skin's surface renew about every two to four weeks. In addition, be sure to use sunscreen when exposed to sunlight to protect your skin from darkening. Consider the following well-reviewed skin whitening glutathione pills options that are available in the United States. 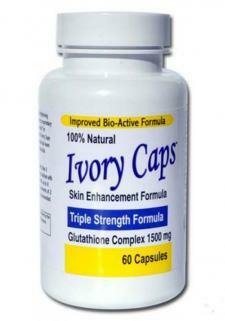 Ivory Caps Skin Enhancement Formula has 1500 mg of glutathione in each capsule which you take twice a day. Purchase a bottle of 60 capsules on Amazon for about $28. Gluta-C Glutathione capsules contain 500 mg of glutathione, vitamin C and alpha lipoic acid. You could take three to four pills a day to meet the recommended daily dosage range. A bottle of 60 capsules costs close to $53 on Amazon. Relumins Advanced White capsules contain glutathione (800 mg), placenta protein, Vitamin C, rosehips, and alpha lipoeic acid. Said to whiten, repair, and rejuvenate skin, you take one capsule at breakfast and one at dinner. A bottle of 30 capsules retails for around $50 at Flawless Beauty and Skin. Skin whitening glutathione pills are expensive but beware buying cheaper products which might be fake and contain harmful substances. As with any dietary supplements, buy the pills from reputable sources. In addition, always ask your doctor's opinion before taking mega doses of any supplements that are not backed up by enough clinical evidence.